Mary Ina Deibler, 92, passed away on January 7, 2018 at Scenic Manor in Iowa Falls. Funeral services will be at 1:30 p.m. on Wednesday, January 10 at First Congregational United Church of Christ in Iowa Falls, with visitation one hour prior to the service. Interment will be at Union Cemetery in Iowa Falls. Linn’s Funeral Home is in charge of the arrangements. Mary Ina Deibler was born on January 24, 1925, the daughter of Wendell and Caroline Santee Holbrock. As a child she was one of the first five-year-old girls to tap dance on the Metropolitan Theater stage. She attended Iowa Falls schools and graduated with the class of 1945. She married Leon Deibler on June 10, 1945, after he returned from military service. She was born, graduated, and married on her home farm southwest of Iowa Falls. Leon and Mary Ina farmed until 1980 when they moved to Iowa Falls. 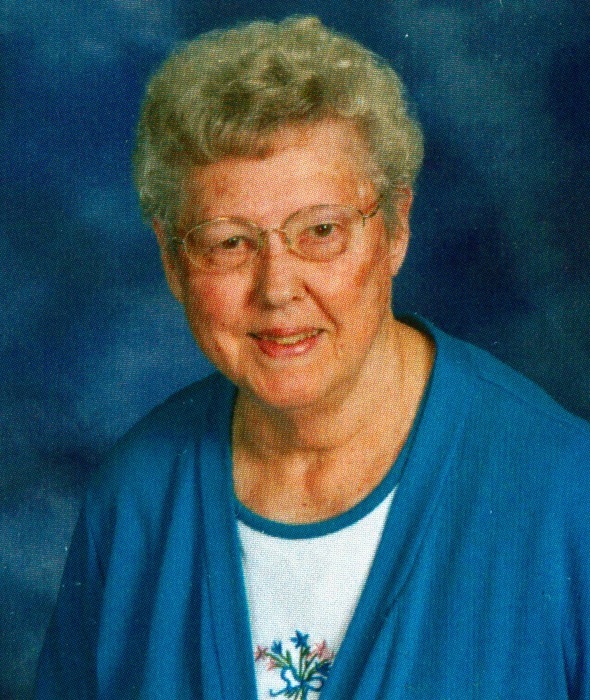 She was a 78-year member of First Congregational UCC in Iowa Falls. For several years she was employed at businesses in Iowa Falls – Ben Franklin, Niarda Jewelry, and I. W. Braga and Sons. She was a member of the American Legion Auxiliary and the Business and Professional Women Club. Mary Ina is survived by her daughter Sharon (Rob) Gaston of Denver, Colorado, her grandson Gary (Becky) Peters of Roseville, California, her great-grandson Adam Peters, also of Roseville, a great-great-granddaughter Isabella Peters, her sister Velma Lois Crosser of Iowa Falls, nephews Harold (Donna) Crosser of Iowa Falls, Wendell (Teresa) Crosser of Columbus, Ohio, Ken (April) Crosser of Ottumwa, as well as other relatives and friends. She was preceded in death by her parents, her husband Leon, her son Larry Deibler.